Bioremediation is a possible mechanism for clean-up of hydrocarbon-contaminated soils in the Antarctic. Microbes indigenous to the Antarctic are required that degrade the hydrocarbon contaminants found in the soil, and that are able to survive and maintain activity under in situ conditions. 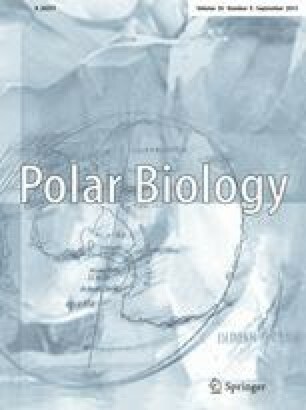 Alkane- degrading bacteria previously isolated from oil-contaminated soil from around Scott Base, Antarctica, grew on a number of n-alkanes from hexane (C6) through to eicosane (C20) and the branched alkane pristane. Mineralization of 14C-dodecane was demonstrated with four strains. Representative isolates were identified as Rhodococcus species using 16S rDNA sequence analysis. Rhodococcus spp. strains 5/14 and 7/1 grew at −2°C but numbers of viable cells declined when incubated at 37°C. Both strains appear to have the major cold-shock gene cspA. Partial nucleotide sequence analyses of the PCR-amplified cspA open reading frame from Rhodococcus spp. strains 5/14 and 7/1 were approximately 60% identical to cspA from Escherichia coli.